The world is a strange place and there are a lot of unanswered questions that make you wonder the truth. Which is how conspiracy theories come into existence, in order to discover the actual truth that is hidden from the ‘truth’ that is being presented to the masses. Like, did Titanic really went down or not? Below are eight conspiracy theories that are super interesting and many of these people actually believe to be true. 1. Titanic Never Went Down! Well, a ship definitely went down but, it wasn’t the Titanic. As per the theory, it was the Olympic. The shipbuilding company White Star has been accused of committing insurance fraud by fixing up the Olympic, an identical ship, and claiming it to be the Titanic. Also, there were a large number of last-minute cancellations for the Olympic by many rich peeps. Maybe, because they were aware of the switch? Yup! You read that right. In case, you find yourself amidst of a plane crash and make out alive. Chances are you are probably going to sue the airline and likely to win big. 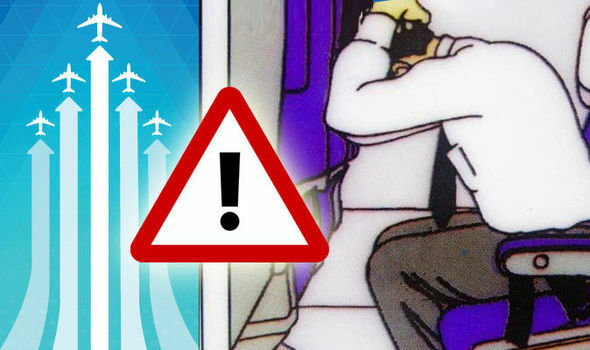 To make sure you die during such an event, the brace position airlines tell you to get in will end in death because if you are in that position during the collision, your head will bang into the seat in front of you and snap your neck. Many passengers have also claimed to see flight attendants taking on a different position. Princess Diana’s sudden death shook the entire world and even after two decades since that fatal car crash, one theory about her death is still doing rounds. According to it, the SAS was involved in Diana’s death and an ex- SAS soldier has said to have told his wife that a special forces hit squad flashed a light to blind Diana’s driver and caused her death crash. It is a technique developed to ­combat terrorists and the said soldier had gone missing days before he was due to be quizzed by the police. In 2005, a Norwegian film director Nina Grünfeld made the claim that Rowling was actually a ghostwriter. 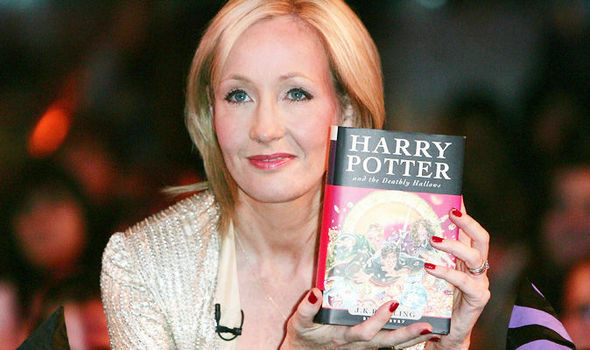 She was well- paid to play up her rags to riches story to build interest in Harry Potter. Ghostwriting is not a new concept in the world of writing and while this could very well be true. 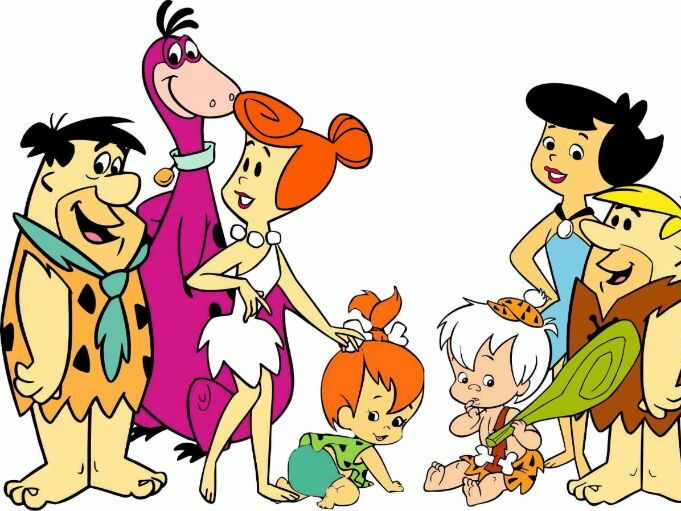 Kids favourite cartoon show ‘The Flintstones’ was apparently set in a post-apocalyptic future, where the remaining people recreate society. If you’ve watched the show, you know they have their very own variant of many present-day devices, such as a bird as a record player. They also celebrate Christmas. But how could they probably know of all of these cool devices to the point of recreating stuff? Well, our entire childhood was a lie. These actors are people who are paid and planted at horrific events like shootings, terrorist attacks, etc by the government in order to keep a check about what gets reported to the public and act as if they were there or are survivors. 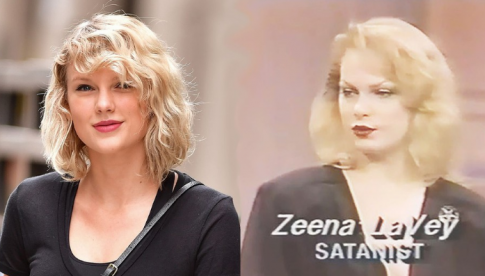 The reigning queen of music industry aka Taylor Swift, who was born in 1989, looks a lot like Zeena LaVey, who was born in 1953 and she was actually a Satanist. 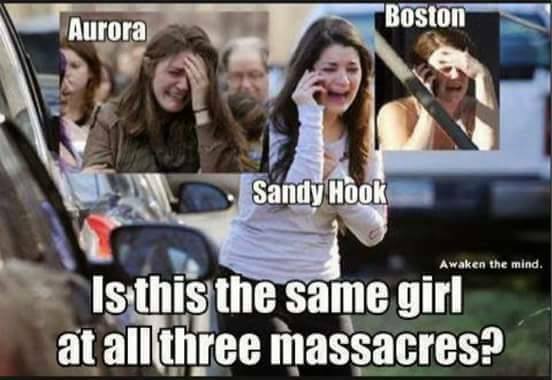 They look awfully similar in the picture and many people are convinced they’re clones but others just think they’re related. Maybe Zeena is Taylor’s actual mom? Who knows? This mind-blowing theory is really very interesting and quite hard to understand. According to it, the whole universe was built just last Thursday, with the impression of being billions of years old. Everything that has happened in time actually happened between last Thursday and today, from major events in history to every single thing that’s ever happened to you. Peeps, these are all ‘theories’, so have fun reading and searching for them. None of them are true facts. 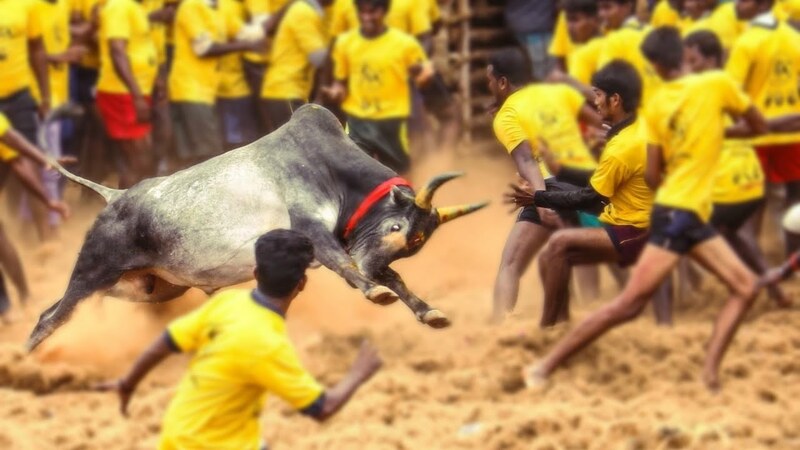 7 Shocking News You Will Only Find in India! 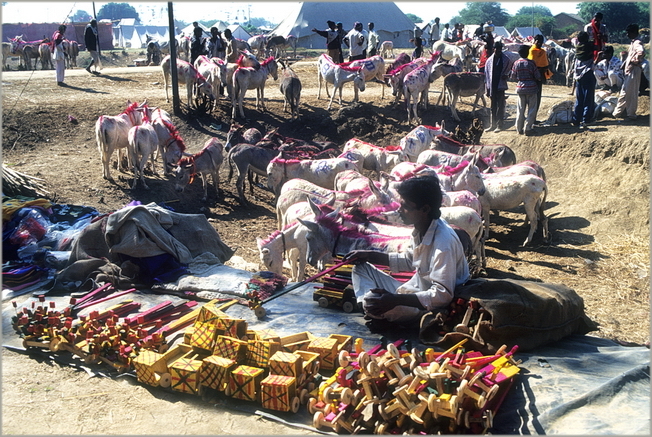 India is a culturally diverse and a huge nation and its citizens, as well as authorities, never fail to entertain the countrymen, thanks to some bizarre personalities and strange orders of authorities. Below are seven news which will shock you and rock you! 1. Doctors Do Surgical Strike! 2. Smelly Socks Takes Man to Jail! Shockingly, a passenger travelling in a bus going from Dharamsala to Delhi was taken by the police when co-passengers complained that they were having a hard time to bear the stench coming from his smelly socks! So, guys take a note and wash those stinking socks of yours before you hitch a ride. A one-and-a-half year boy befriends monkeys and feeds monkeys regularly in Hubli. The toddler is woken up by monkey gang every day at six in the morning and is dropped back after playing and being fed by them. Moreover, they have never bitten him. Talk of True Friendship! 4. Get Rid of Your Phones or Get Fined! 5. Asses Land in Jail! 6. Actor Gets E-Challan for Taking Selfie! Mumbai Police issued e-challan via twitter to actor Varun Dhawan for taking a selfie with a fan as he was leaning out of the car window and wasn’t wearing his seatbelt. Talk about the power of twitterati! 7. Stuffs Mouth with Straws, Man Sets Record! Odisha’s Manoj Kum created a rather strange Guinness World Record by stuffing an astounding 459 drinking straws into his mouth at once. P.S. A great idea to do something good for those who love to open their mouth for wrong reasons. Still recovering from the shock, eh? If you are provided with a space to display and strut your own stuff that’s designed for you, what would you do? Showcase it. Well, that’s obvious, right? So let’s delve into a little story about this very concept. In a land not very very far away, resided a hub for all College events. This hub was connected to few Colleges and it was happy. Yet, something was amiss! It tried finding out what, went far and wide to do research. Finally, it was discovered. It missed the presence of College Students around it. It immediately embraced itself for buzz and fizz. And lo and behold! The first thing it did was create a Video Contest for people to participate in. People participated, connections happened, communities got built! And the little hub became the Happiest Hub ever! Well, let’s talk fables to tables with the same cable now. TheCollegeFever has a motto of consolidating the student community for the greater good. Here, we decided to provide a platform to students to represent us, because the facilitation of students is what we stand for! We decided on User Generated Content to be a significant factor for our relaunched website. When encountered with problems of finding the right content for the masses, who would you rather ask? The masses, obviously. So the Video Competition had a few rules of pertaining to certain resolutions, time limit and depicted College Life — the awesome things in and around your college. That was the theme. We got in great responses, indeed! Initially, we didn’t quite get a huge traction. It happened slowly. A video of a monkey inside the college premises was the first one. Although it didn’t quite represent what we wanted but we were really happy because we saw participation. Later, we saw the crowds coming in for putting their content out to the world. Finally arrived the tick and we announced the winners. We would like to mention about the winners of this Contest and this one is specially about them. They are pretty cool people! Rohan Reddy is a 3rd year student of Indian Institute of Information Technology, Hyderabad, pursuing his B.Tech in Computer Science and M.S. in Exact Humanities. He is passionate about photography and cinematography. Being the head of photography club in his college, this was his first attempt at recording and compiling a legit video. Their college festival provided a great opportunity to capture expressions and emotions of people and the subtlety in how things create these auras. The entire video has mostly been recorded and edited by him. He had been aided by two juniors, namely Shanmukh Ale and Yaswanth Naidu Singampalli in the making of it. This awesome video deserves accolades, indeed. No wonder it presently runs in the recently re-launched website of TheCollegeFever. The farewell for Seniors was coming up and Gourav saw a video from Coldplay (The Scientist) where from he was inspired to create a ‘reverse video’ for the Farewell. So Gourav and his friend, Pranay imagined shots in reverse and improvised on them. Mayank pulled in contacts and made arrangements for shots. Sravya and Arpita aided in the shots picked from the Girls’ Hostel. The entire video took more than a month to shoot and edit (done by Gourav). There was a moment half-way where Gourav thought about dropping the idea. Mayank and Pranay urged him to go on with compiling the video. Gourav had his Lab exam on the very final day (in which he basically got a ‘0’ 😛 ) Finally, after exams the entire video came up. The struggles through the making proved successful when the video received a standing ovation from the audience, the first ever for a Farewell video in their college history. More than 53,000 views on Facebook was the final outcome because the entire College Fraternity including all Alumni loved his efforts. Soon, it will run as a homepage video for TheCollegeFever in the upcoming months. We are proud to have them as winners because their efforts show in the videos. We congratulate all the participants for their wonderful contribution. A special congratulations go to Surya Midatala of IIT Kharagpur and Sudhanshu Srivastava of Manipal Institute of Technology for running a bid to the winners list. The Clock goes tick, which Event to pick? Attend Events, Enhance your persona! One. Two. Plenty! There are numerous events on the rostrum these days. Events related to literally anything in the world! Want to learn a skill or just display your talent, gain knowledge about topics or free your mind of all thoughts that stress you out? Nowadays everything is available for the grabs. That is obviously the foremost reason you take up a particular topic and attend any event related to it. Be it a workshop to learn about a certain matter, a competition to test yourself about that subject, or just a conference you want to be a part of — it should definitely be around a theme which intrigues and inspires you! Events could range in the following segments —conferences where you need to submit papers and await results for papers to be selected and presented. Another one being workshops, where you need to attend it, no preparation required, just get the skills. A third kind could be a festival in colleges/schools or elsewhere. You could go to participate in the competitions held or could just go and witness the star performers and groove to the tunes of the DJ. Now that we are sure of the different sectors, let’s understand why interests are important. A gripping point to be noted here is that interests change with time. People just take more time to realize or they don’t realize it at all. Let’s say, your hobbies as a teenager were reading novels and playing chess. So does that mean you retain only those two for the rest of your life? Sure those are good stuff and you should have those hobbies/habits for life. But why not learn a new skill and adapt to it as well? It’s an added feature to enhance your persona. Go for it! The authenticity and value of the Certificate received and also, the prizes, if any. The number of attendees to the event(check past records of the event and try to get a rough figure of how popular it is). The participation coverage (is it a local event or is it open to participants from all over?). Also, how far it can accommodate people from far-off places or it’s at your own expense — that needs to be known. Excellent speakers/performers will deliver the highest quality content, whether it be in terms of a lecture session or a cultural/stand-up performance. This is one of the sole reasons why we would attend an event! Agree? Well, I think many would nod a yes to this. The organizers of the event should themselves be authentic. Imagine the event is cancelled after you reach the spot. Disappointing, very very disheartening! For obvious reasons, do a background check on the genuineness of the event and its organizers. The event that you are likely to participate could be one that gives you exposure to a multitude of professionals or people around your line of interest. Socializing with them could help you develop your connections to get to the right path. Attend an event if it helps you grow as a person and also expand your horizon of opportunities. Meet. Greet. Fleet. Meet new people, greet them, and make your own fleet of associations! Just like with great power comes great responsibilities, with great events upcoming, comes great preparations! If your event requires preparation, check the time you have for gearing up. If it’s sufficient enough, go for it without a doubt! Here’s your opportunity calling out to you! Check if it’s an Open-to-all event, the criteria for attending it and the location and climate of the place. Also, check whether this event is will give you the platform or the skill you were looking for. Some events are exclusive. So be careful on that front. Many events are also listed on TheCollegeFever, do check them out! They might be the ones you would have been looking out for. A whole new world awaits you as you decide to attend an event. Go for the opportunities. They are calling out to you! The world is waiting, events are happening everywhere. Are you embracing the right ones?